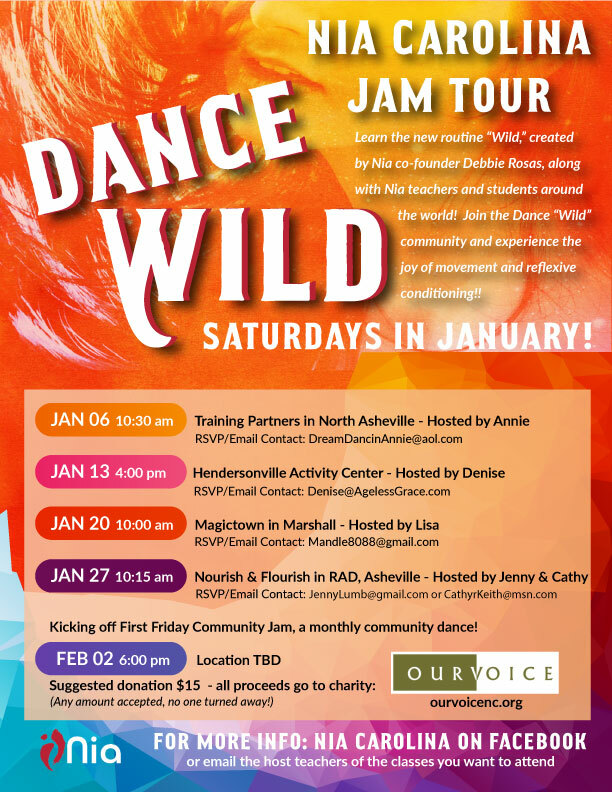 Magictown will host January 20 and donate proceeds to Our Voice! There is nowhere to begin but at the center—your heart. It is a miraculous organ and the subject of my fascination. Is it really a pump in the way we were taught? What is it’s function? Does it have an intelligent voice and harbor memories? What kind of relationship do I have with my heart? I have been asking myself these questions and researching some science that may illuminate interesting answers. If you seek an intimacy with yourself and desire a long healthy life full of vibrance, the heart is your golden key to unlocking hidden treasures. Rudolph Steiner, a German philosopher, visionary and the 'father' of anthroposophy, biodynamics and Waldorf education, was ahead of his time in many ways. One of his most prophetic claims was that the heart is not a pump. I was taught that the heart is a muscle that forces all of our blood through the circulatory system, acting like a pump that pushes blood via muscular squeeze & release. At the time of Steiner’s proclamation, there was little science to support his statement and it seemed mostly overlooked. In 2016, Dr. Thomas Cowan (a cardiologist) wrote Human Heart, Cosmic Heart where he begins to unpack this controversial theory and reveal how the heart actually functions. To summarize, it is physically impossible that the heart could do the task of pumping blood through the miles of vessels and capillaries that we embody. Imagine trying to pump honey through a water hose for miles—uphill—it would take a machine much larger than your fist-sized heart. The structure of the heart also shows that it is not designed to pump all alone. At the apex (or bottom) of the heart, it is only one layer of muscle making it quite thin compared to the other areas. In the pump model, this would be the area of the heart that receives the most pressure, being directly opposite the aortic valve. The base of the heart would need much more reinforcement to function for a human lifetime. Steiner suggests and the anatomy supports, that the heart is more of a hydraulic ram. A hydraulic ram, usually placed in running water, works when pressure and volume build up on the incoming side of a gate, creating a vacuum or negative pressure on the far side of the gate—the gate will open and the fluid propelled up hill! Steiner and Cowan explain how the heart works similarly, acting via pressure and vacuum, regulating the blood flow and transforming it from laminar flow to a vortex. This ram-pump model depends on a hydrophilic tube system of positive/negative charged blood that engages your vessels and capillaries to participate in the movement of your blood too. This means that your entire circulatory system is wholy active in the movement of blood through your body, not just the heart muscles. Now to illuminate heart-brain communication, an honest intelligence that is readily available to everyone. In 1991, Dr. J. Andrew Armour introduced the term “heart brain” after establishing that the heart has a complex network of 40,000 neurons, neurotransmitters, proteins and support cells that can act independently of the cranial brain. Your heart holds both short- and long-term memories separate from your brain. There are astounding stories of heart transplant recipients who experience memories, dreams and even cravings that can only be explained after learning about the person from whom the heart came. Understanding and developing a relationship with your heart can open you to greater personal insight, better decision making skills and even higher immune function. According to research from the Heart Math Institute, your heart’s rhythms can have an effect on brain function, its ability to make good decisions and create positive emotions. The heart emits the strongest electro magnetic field in the body and can be measured several feet away from the body. Have you been near someone who is angry or sad? What did it feel like? How about a person who is powerfully charismatic or has a ‘magnetic personality’ that you just want to be around? When you are aware of your emotional state you can make changes that positively affect your entire being, from a chaotic nervous system and erratic brain function to a coherent state of ease where the body is able to process information efficiently. By consciously choosing to notice your feelings, you can then decide to make a shift towards positive feelings—you have the power to change your experience and heart awareness helps. Others around you will feel (whether conscious or sub-conscious) what you are emitting and enjoy your presence or possibly make subtle shifts of their own. Lesser known than the heart is the pericardium. The pericardium is a sheath of connective tissue that surrounds your heart. In Chinese medicine it is called the 'heart protector'. Rudolph Steiner referenced it as a metaphorical box that surrounds the heart organ, which he envisioned as a seven sided geometric figure. In the mid-nineties, Frank Chester, a modern-day artist, sculptor and visionary discovered the three dimensional shape, known as the Chestahedron. It is a seven sided form with equal area on all sides, despite the two different shapes (four equilateral triangles and three kite shaped diamonds). It has some very unique properties that correlate directly with the functions of the heart, including the way that it behaves in a fluid environment and that it fits inside a cube at 36 degrees—the exact angle of the heart within the chest. Imagine your inner chest contains a cube-shaped treasure chest and the bio-luminescent heart jewel rests within. Photo 1: Chestahedron prism Photo 2: Chestahedron at 36 degree angle within cube, courtesy of 'Human Heart, Cosmic Heart' Photo 3: Heart at a 36 degree angle within the lungs and chest. The heart jewel, multi-faceted and resplendent! 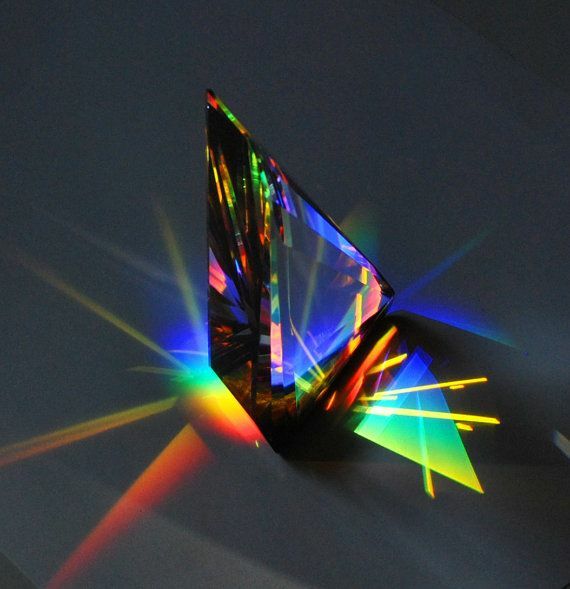 Have you ever seen rainbows cast by a prism or sun catcher? When the sun shines onto the facets, it sprays rainbows across the room or glints in the corner of your vision as you pass by. When the pericardium is relaxed, it is like a transparent box that allows the light to penetrate and refract through the heart prism. Bringing awareness to positive emotional states clears the 'clouds’ of thought in your mind, revealing the ‘sun’ and internal clarity. The literal sun is a force of Nature, it has no judgement and no opinion. If you have spent a lifetime ignoring it or shielding yourself from its light, it will not abandon you nor withhold its warmth and light for spite. The sun shines on everyone the same; it is there no matter how you have loved or despised its radiance. Your consciousness is like the sun, when you invite it into your heart it will brighten the inner space—no questions asked, no justification necessary. When you make a conscious choice to feel your heart and invoke positive emotional states, it purifies your perception and allows the light of awareness to illuminate your darkest diseases and vaporize pathology. Ancient yogis describe a shroud, veil or cloak that masks the heart and colors our perception in certain ways, mostly on the subconscious level based on events of the past. Practices like yoga, qigong/tai chi, walking in Nature, meditation and bringing awareness into the present moment, can help to lift the veils and polish the facets so that perception is clear and the voice of the heart can be heard. In this state, you can ask questions of the heart—it will always answer. Some describe the voice of their heart as an immediate ‘knowing’, a few short words or feeling of expansive opening in the chest. Try it! Take at least a minute or two (maybe more) to breathe with awareness in your chest, dropping into the present experience. Notice what you feel and invite a sense of ease all around the heart—like the box of the pericardium becomes spacious and transparent. Once you feel a soft presence within yourself, try asking a question…first ask one that you know is true and feel the 'yes'. Then ask one that you know is false and feel the 'no'. It may be very subtle in the beginning but with practice you can strengthen this form of communication with yourself and be certain of a 'yes' or 'no' answer almost immediately. If possible, try this with a partner too. Have them ask a question that you both know is true like, "I'm in North Carolina (or current location)." Then something you know is false, "Today is Thanksgiving," for example. Establishing a sense of your heart's intelligence might help to develop trust in yourself and your ability to make decisions that enhance your experience of life. Thus it shows the Way. Water is one of the most miraculous substances on our Earth and a resource that is fairly abundant in our region. That’s something worth celebrating! Along with sunlight and clean air, it is one of the only resources necessary for all life on our planet—plants, animals and humans. In its quest to follow the pull of gravity downward, water has sculpted some of the most majestic scenery in Nature including our mountains and valleys here in Western North Carolina. Water is constantly in a state of graceful transition: from a frozen ice crystal on the peak of a distant mountain to sewage moving through rusty pipes, from a mighty flood that obliterates all obstacles in its path to the tiniest, glistening marvels of dew drops in the morning. It shows how persistence will make change, even in the hardest places, and inspires beauty and wonder in all its many forms. It does not compete, but seeks the path of least resistance, simply and humbly showing us the Way. As I write this article, there is rain in the forecast all week long. For some this may be a downer, something that ruins outdoor adventure and weekend plans—I have been limited by rainy days too. I have followed the water table closely these past few years, first as a raft guide and now living on a spring-fed, gravity-powered system at home. Water that falls from the sky ensures a more comfortable daily existence for us. Last fall during the drought, we spent several months hauling & pumping water into our reservoir just so that we could flush toilets and brush our teeth. Showering was infrequent and often occurred at other locations. It was utterly exhausting to be constantly concerned about having enough water and gave me a profound understanding and gratitude that we live in an area that is usually so water-rich. Worldwide, 783 million people live without access to safe drinking water! We live in a temperate rainforest with bubbling springs, flowing streams and mighty rushing rivers. How often do you acknowledge easy access to such a precious commodity? Our sweet mountain water is worth a salute once in a while, step out and let it tickle your toes, observing the clarity, sound, patterns and feel of it in Nature. Water that comes trickling out of a mountain spring or an underground well or a municipal reservoir is easy to take for granted and get used to having at your fingertips. Often we don’t drink enough of it to stay hydrated because there are more appealing options. If you take a moment to consider where your water comes from and how vital it is to sustaining life, you are likely to shift your relationship with it. “I need to drink more water” is such a common phrase to hear, but what will it take for you to actually want to drink more water? It is like having a glass of pure magic that nourishes your whole being. What could be better? If you replace one soda or sweet tea with a glass of water each day, your cells will thank you and you may start to feel better…saying a simple prayer of “thank you” will likely make it even more nourishing. Protecting and preserving the quality of water in our area is of the utmost importance. According to an article in The Atlantic, many of our rivers are unable to support healthy aquatic life. Some of you may remember when the French Broad was known for being dirty—folks didn’t swim in the river or eat its fish. We have made tremendous progress over the years and now it is clean enough to support recreational water sports, musky or muskellunge (fish that need clean water) and even river otters! The most common contaminates today are fertilizers, especially phosphorous & nitrogen, as well as measureable amounts of sunscreens, pharmaceuticals and estrogens. Please do what you can to dispose of these materials appropriately or don’t use them at all. I know from personal experience that not having clean water instantly becomes distressing and a top priority for survival. As a community, I hope that we can all appreciate, enjoy and take care of our precious water. It “nourishes all of creation” and teaches us how to go with the flow. I am so pleased to announce that Magictown will host this event for those looking to learn more about trauma sensitive language and teaching to populations outside the studio setting. Soothe your nervous system and recharge your inner battery. Whether you seek freedom from your own suffering or desire freedom for all, self-care is essential to showing up more skillfully in our communities, in our world. A new Tai Chi Chuan class designed specifically for those of advanced age looking to develop balance and stay young at heart! 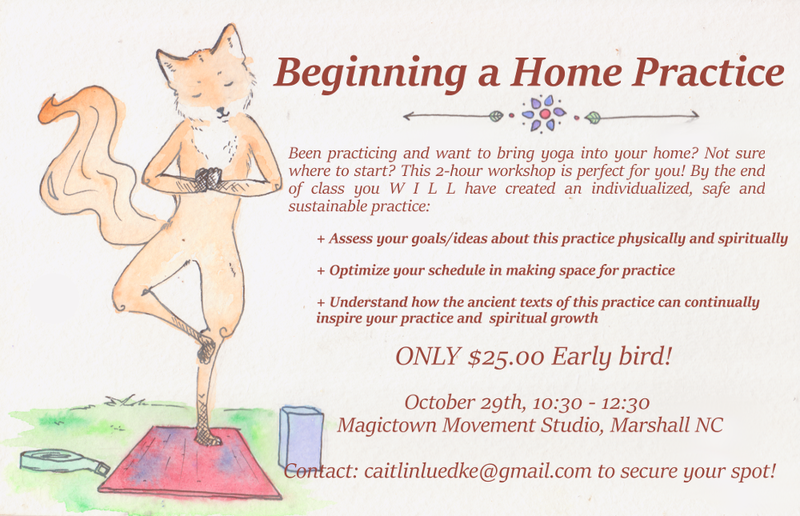 Restorative Yoga: Once a month retreat!